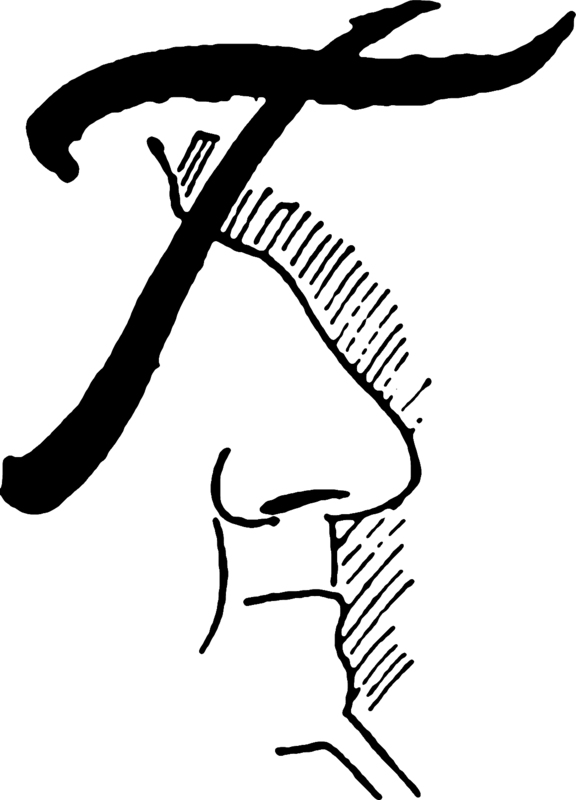 Here's a capital T with a nose, from Pearson's, 1897. 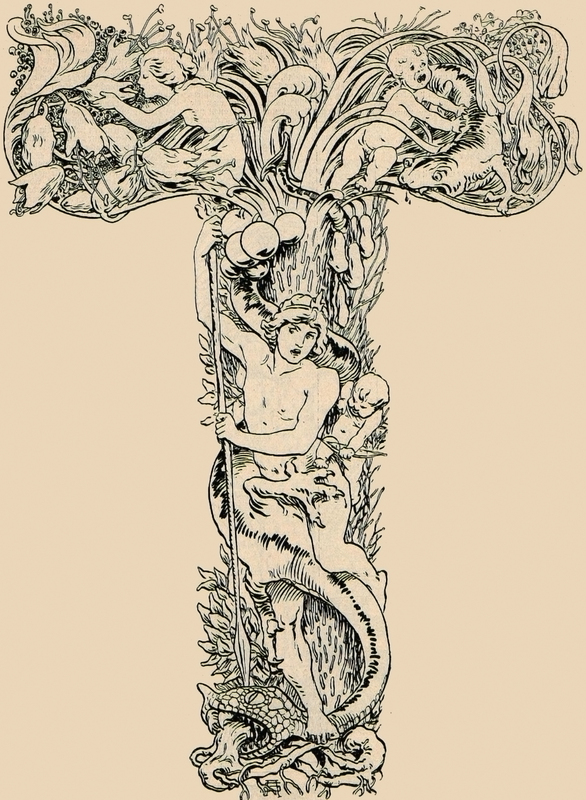 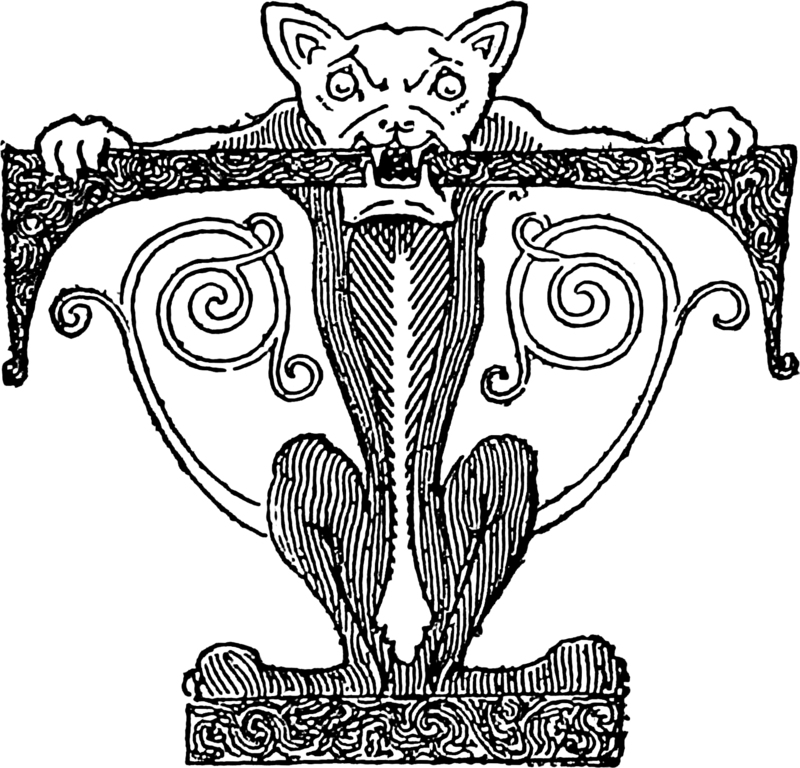 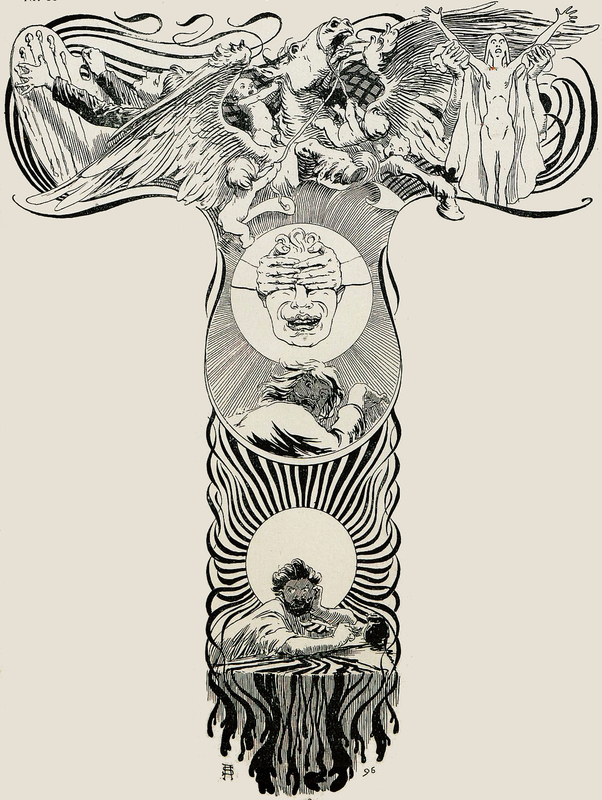 Here's an ornate capital T from The Hades of Ardenne, written and illustrated by T. T. Club, 1883. 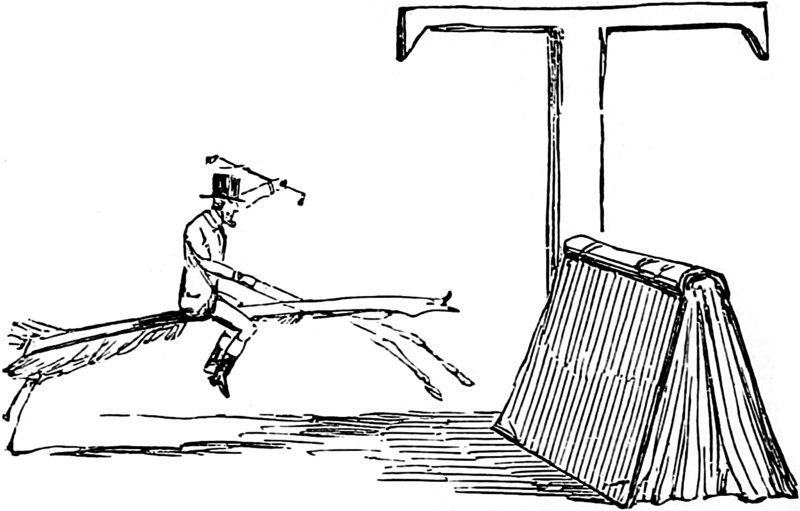 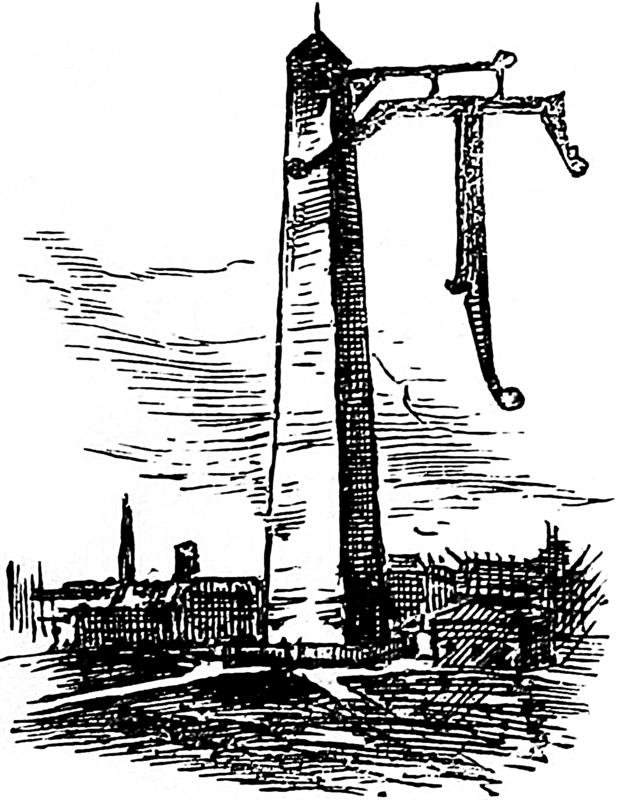 From Mr. Sponge's Sporting Tour, 1892. 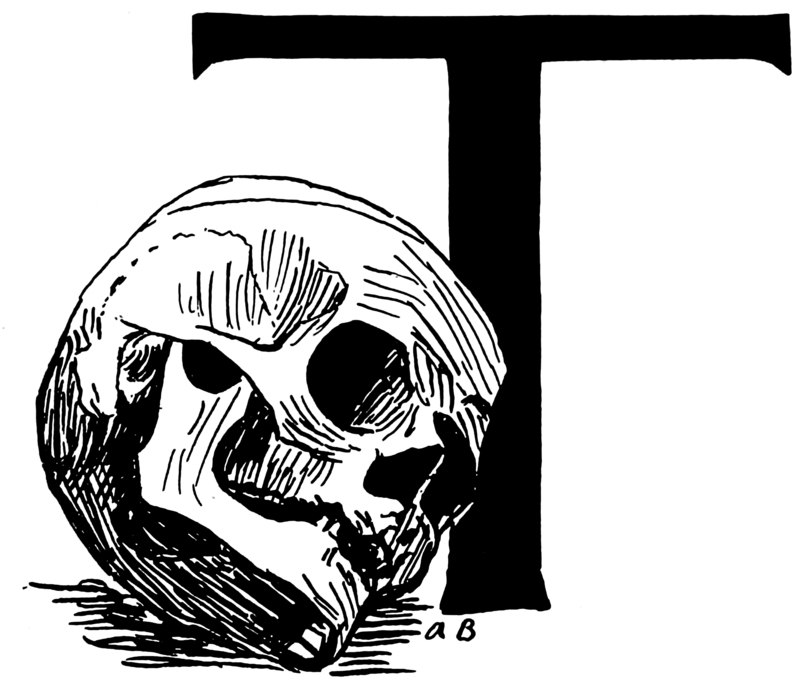 As we noted in the special one-letter words edition of The Shakespeare Papers (revealed here), R is the dog's letter. 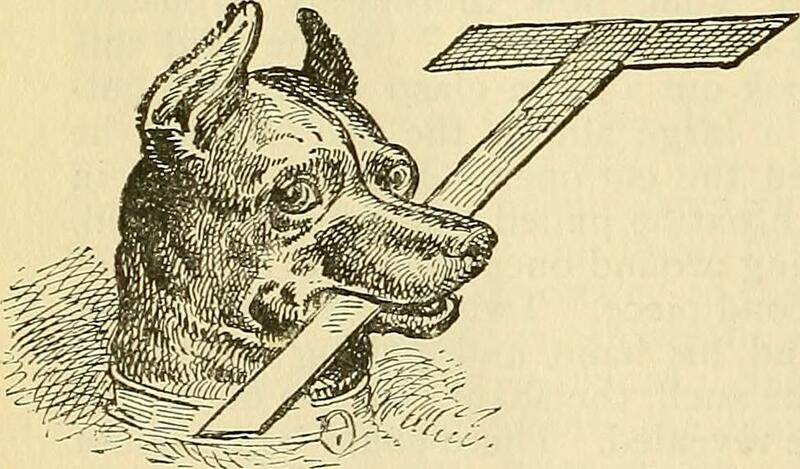 Romeo and Juliet aside, we find a canine T in Outing magazine, 1885.